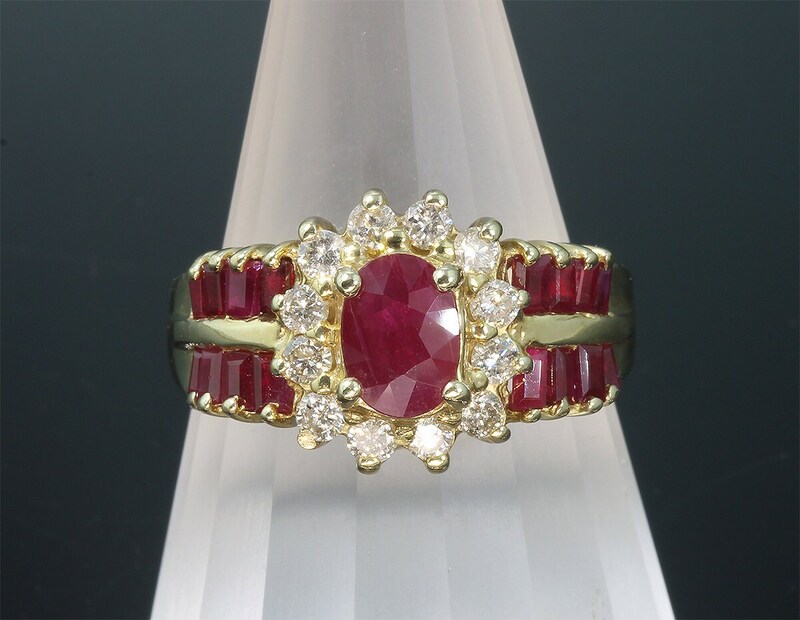 Vintage 14K gold ring with 7mm x 5mm genuine oval ruby, .60 tcw diamond halo and ruby baguettes. 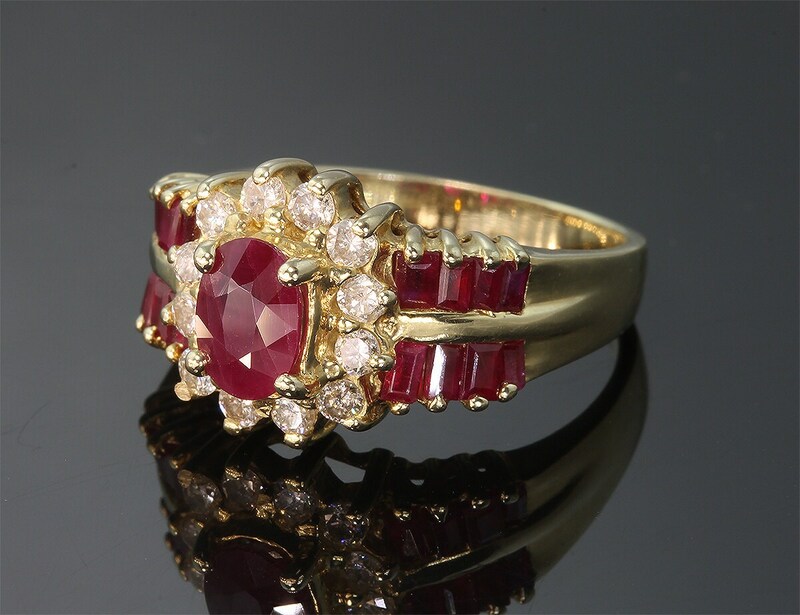 Wonderfully matched, the center oval ruby and the side baguettes all have that "pigeon blood" red color that is desired in the ruby lovers world. 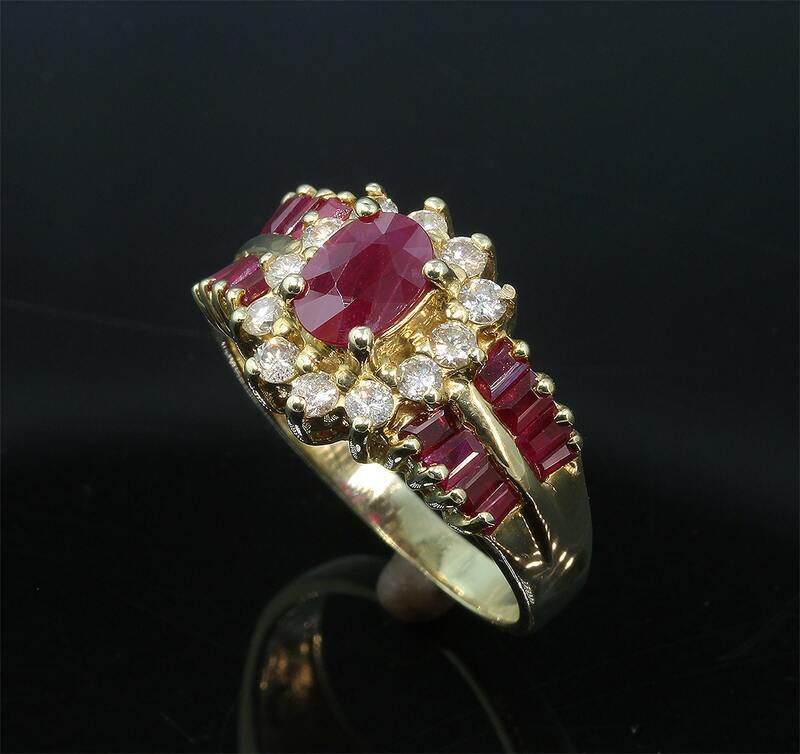 A wearable piece of awesomeness!